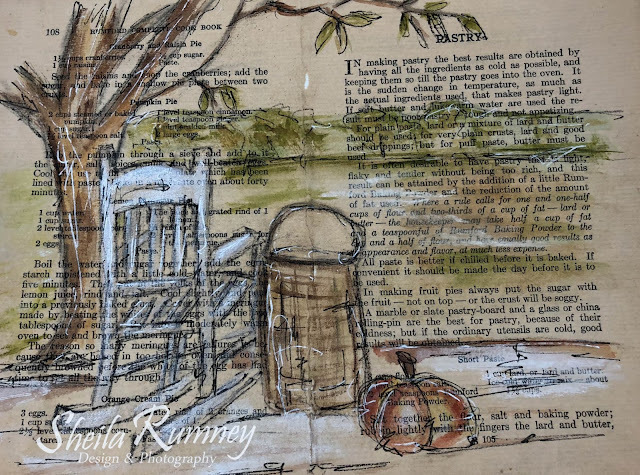 Vintage book pages make a great start for your watercolor art pages. I created these art pages using one of my beloved Aunt's Rumford Cookbooks, that she collected. I used matte medium to adhere to watercolor paper. Once dried, I added clear gesso so the beautiful vintage pages could peek out from the watercolor. I added more dimension to the background using charcoal. I then used a combination of black and white pens to add additional interest. 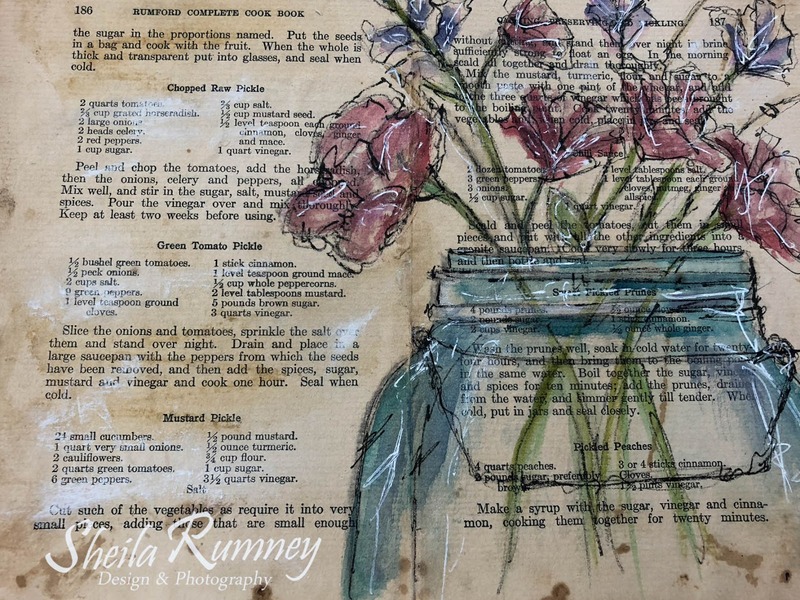 It is a great way to re-purpose those old books from your loved ones, so why not grab an old book at start creating some beautiful art?